Home AU Financers IPO AU Financiers Limited IPO AU Small Bank IPO AU Small Finance Bank IPO IPO in 2017 IPO in June 2017 IPO Recommendations IPO Research Reports Latest IPO News AU Small Finance Bank IPO - Should you subscribe? The IPO is offered in the price band of Rs.355 to Rs.358 per share. The IPO wpuld remain open for subscription till Friday, Jun 30, 2017. 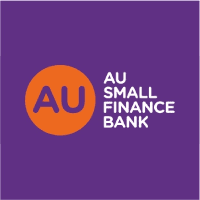 AU Small Finance Bank, formerly AU Financiers, has transitioned from an asset financing NBFC providing loans for vehicle purchase, MSMEs and SMEs to a small finance bank (SFB) effective 19th April 2017. The bank is having 269 branches and 121 asset centers across West and Central India, mainly in Rajasthan, Gujarat, Maharashtra, Madhya Pradesh, Chhattisgarh, with focus on low income and middle income group (LIG and MIG) customers. In June 2016, company sold its lucrative, high-growth, and current investor favourite mortgage (home loan) business, of Rs. 1,500 crore AUM, for approximately Rs. 950 crore, to enable its transition to SFB. In FY17, company’s total income grew 36% YoY to Rs.1,430 crore, while net interest income (NII) grew 41% YoY to Rs. 917 crore. After accounting for provisions and write-offs of Rs. 77 crore and exceptional gains of Rs. 670 crore on sale of housing finance and other smaller businesses (insurance broking, micro finance), company reported PAT of Rs. 843 crore. Adjusting for this one-time gain, FY17 PAT rose came to Rs. 326 crore, thus resulting in EPS of Rs. 11.74, up from FY16’s Rs. 9.28. Return on Net Worth (RoNW) of 21.7% and Return on Assets (RoA) of 3.4% are also quite impressive.